In emergency situations, time is of the essence. Not a minute can be spared searching for Fire Extinguisher equipment. Follow proper fire safety procedures by clearly labeling the location of fire extinguishers around your building. If a fire breaks out, keep workers and visitors safe by ensuring everyone knows the site of the nearest fire extinguisher. 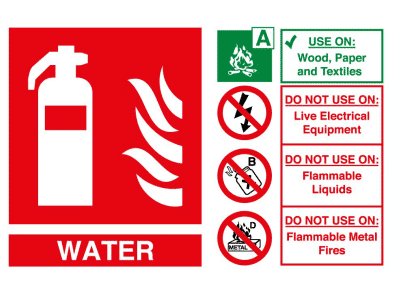 These Extinguisher Signs and labels are best used in any environment to show the location of fire extinguishers. 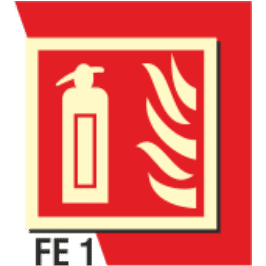 Place these Extinguisher Signs and labels at the site of the fire extinguishers so employees and visitors know where they are and how to use them. 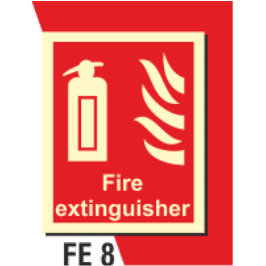 Any business or company that needs to identify fire extinguisher locations should use these Extinguisher Signs which are economic and light weight.